Have you ever noticed how quiet the room gets when upper elementary students are being read to? There is something so calming and serene about sitting and listening to a story being read aloud. Picture books, chapter books, and poetry books are loved by students of all ages, including older students. Reading aloud promotes a love of reading, models fluency, and encourages meaningful discourse about books. Poetry stimulates emotions which allow students to easily make connections and comprehend the poem that is being read. This is an especially wonderful thing for our struggling readers, as it boosts their reading comprehension confidence. Since curriculum is often jammed pack with fiction and nonfiction reading strategies and standards, poetry often gets left behind and forgotten. Poetry should be front and center in the classroom and woven into read aloud schedules each month. The benefits of poetry should not be contained to just one month: National Poetry Month. If poetry is something missing from your classroom start with these fresh and classic poetry books and have your students start reaping the many benefits of poetry! 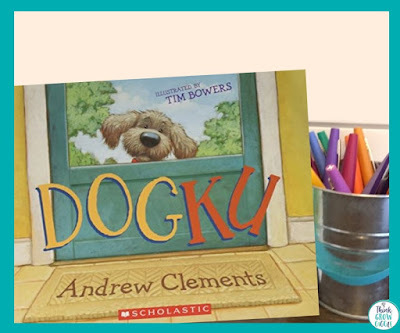 I am not fully sure how I taught haiku writing before this picture book was published! 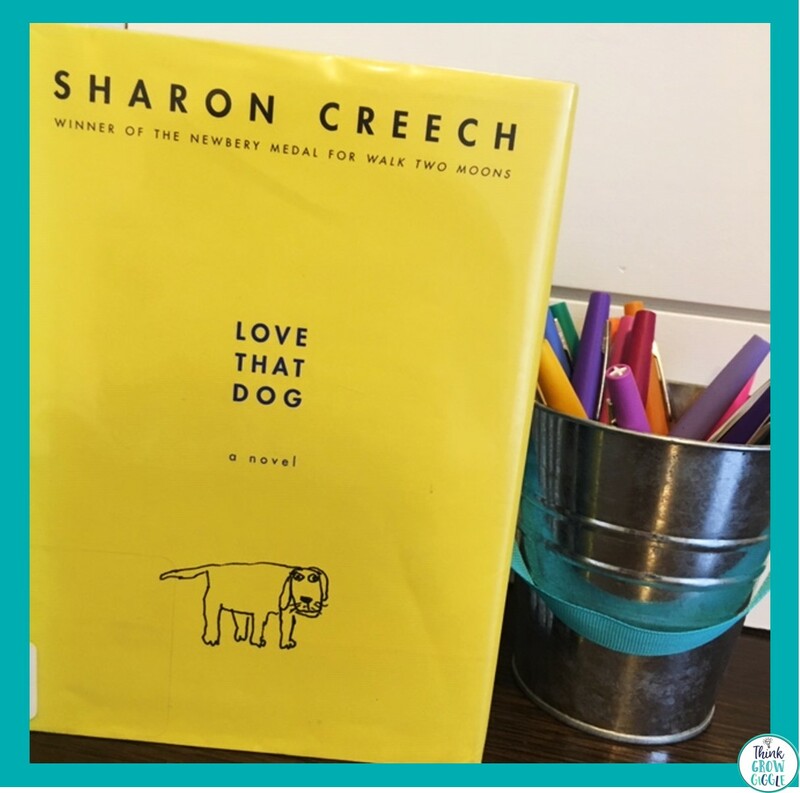 This book is only written in haikus, yet tells a full story about a stray dog’s adoption experience. The kids are always amazed when they find out that the entire story is written using just haikus. They love to reread each page and check each haiku for the correct use of the syllable pattern. 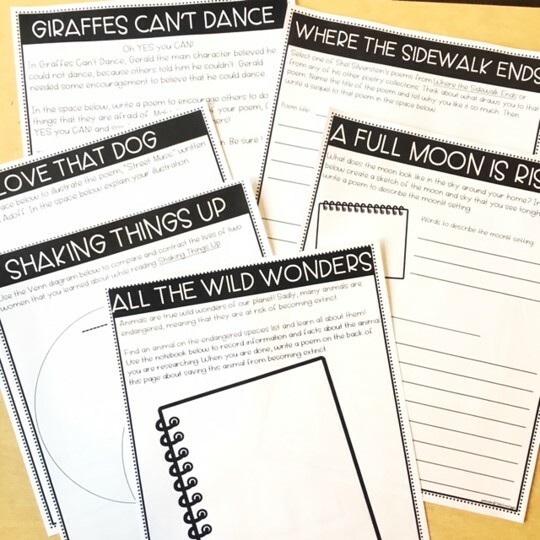 Of course the perfect follow up is to write their own haiku, but go even further and challenge students, or groups of students to write an entire tale! Is your class more into cats than dogs? Grab this cat focused haiku picture book: Wonton written by Lee Wardlaw, too! 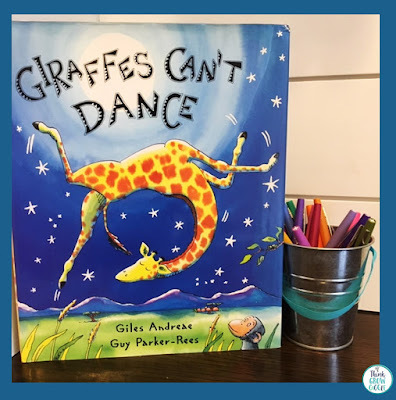 Grab a free coordinating poetry activity to use with this book at the bottom of this post. I love this book, not just for its fun poetic rhyming text, but for the powerful message it sends to its readers! The giraffe in this story gets teased by the other animals because of the way he dances. As the story goes on, the main character builds the confidence he needs to let his feet free and be himself! Could there be a more powerful message for our students? LOVE this one for all ages and any time of the year! Grab a free coordinating poetry activity to use with this book at the bottom of this post. Love That Dog is a novel written from the perspective of a young boy who is learning how to find his poetic voice through a series of poetry lessons in class. This book is very empowering as it shows how readers and writers of all levels can become poets! Although he is hesitant at first, he begins to love poetry. What I especially love about this book is that the poems that the character refers to from his class lessons are all in the back of the book. This lends itself to discussing not only the poetry in the novel, but the classic poems like Stopping By Woods on a Snowy Evening by Robert Frost that are part of the character's classroom lessons. 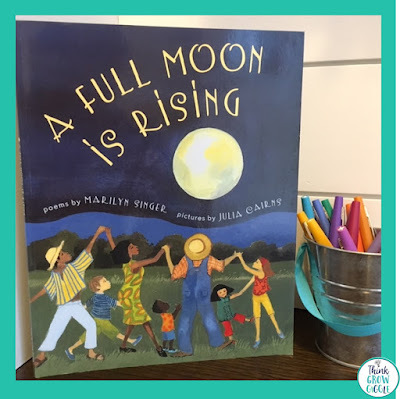 Grab a free coordinating poetry activity to use with this book at the bottom of this post. 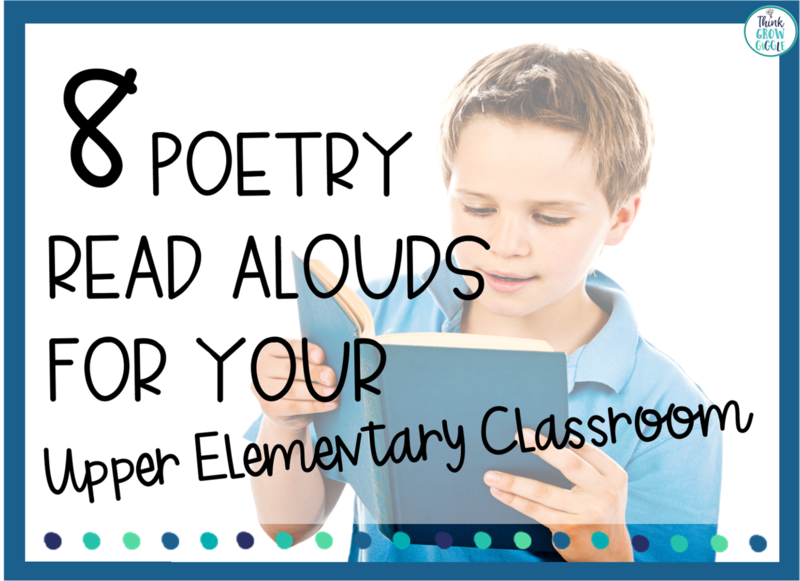 Poetry anthologies are a great way to sneak in poetry read alouds if you are short on time. 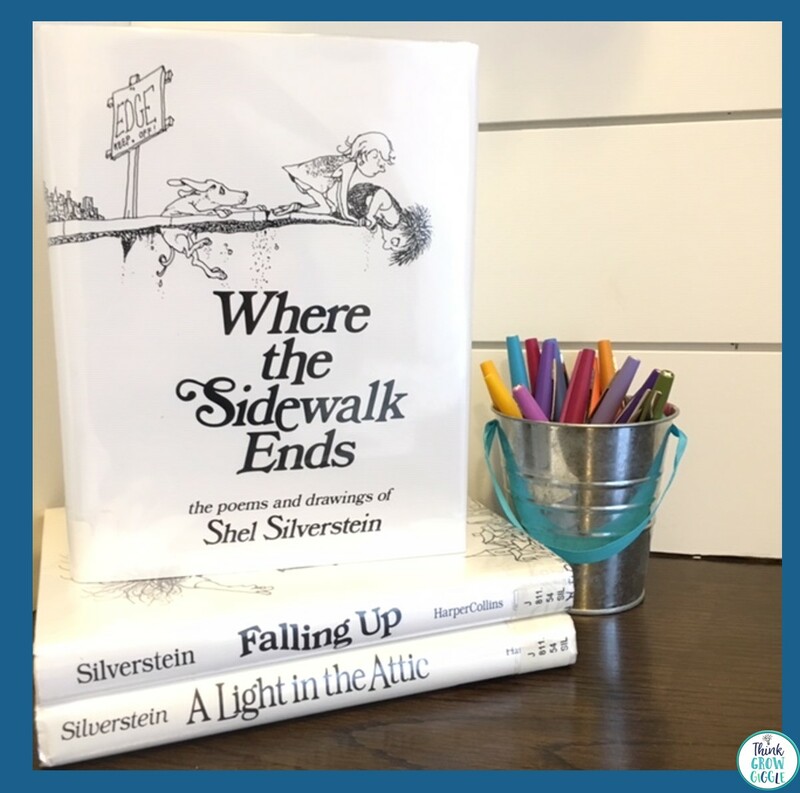 Shel Silverstein’s poems are my favorite to share with students, but we often read from Jack Prelutsky’s anthologies, too! What I love about anthologies is that they are addicting and contagious. 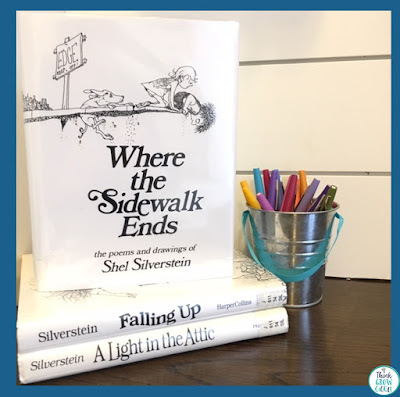 Once you start reading from Shel’s books, you won’t be able to stop, so you will easily find the time to sneak in a poem or two during free moments. Your students will be so addicted, too, that you will see them begin to borrow his books from the library! It is such an authentic way to hook young readers, especially your reluctant readers. 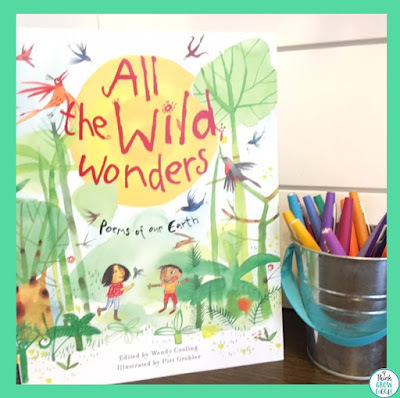 Grab a free coordinating poetry activity to use with this book at the bottom of this post. I just love this book because it is a simple, yet meaningful way to bring together science, social studies, and language arts. This book is filled with poetry about the moon during its different phases in different places around the globe. It ties together nicely with any moon and solar system unit. It is also a great way to bring different cultures into your classroom. At the end of the book, the author provides background information about the location from each of the poems. 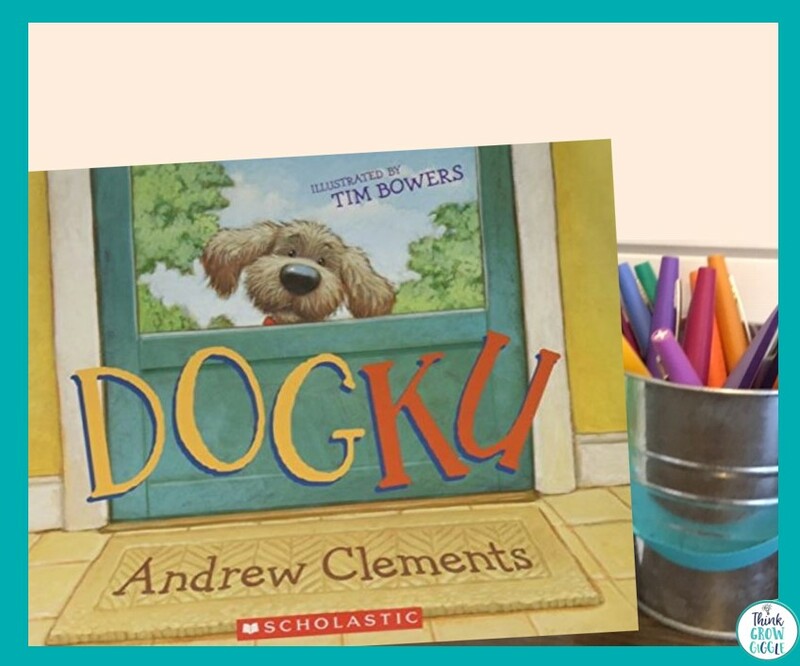 Students can easily make connections to the poems in this book by writing their own poem about their own cultures, traditions, and hometown. Grab a free coordinating poetry activity to use with this book at the bottom of this post. This is one of my favorite poetry books to use with students of all ages and reading levels. These poems are intentionally written for two people to read, as each poem has stanzas written in three different colors. One reader reads the purple stanzas, the other reader reads the pink stanzas and both readers choral read the blue stanzas. Talk about amazing fluency practice! (See more fluency strategies here.) It is the perfect book to pair up high and low readers, use in small intervention groups, or one on one with struggling readers. The clever and funny poems will surely entertain your kids! This book is part of a series, so be sure to check out the Fairy Tales and Halloween versions, too! This picture book of biographical poems is all about 14 young women who changed the world. Each poem is written by different poets and illustrated by different artists, making it a unique collection of poems that teach students such wonderful information while reading prose. 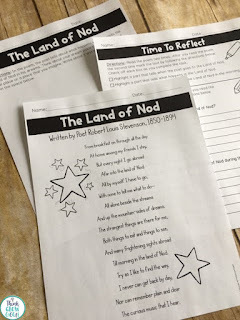 Not only do I love that these poems are nonfiction in nature and truly teach students about biographies, but since each poem is written about each girl as a young child, students are naturally inspired! A great activity to do with this book would be to compare and contrast each poem’s structure, as well as, compare and contrast each young girl. Follow up by having your students write their own biography poems. (See a structured lesson for bio poems HERE.) This is a must read! You will find your students borrowing this book from your classroom library, again and again! 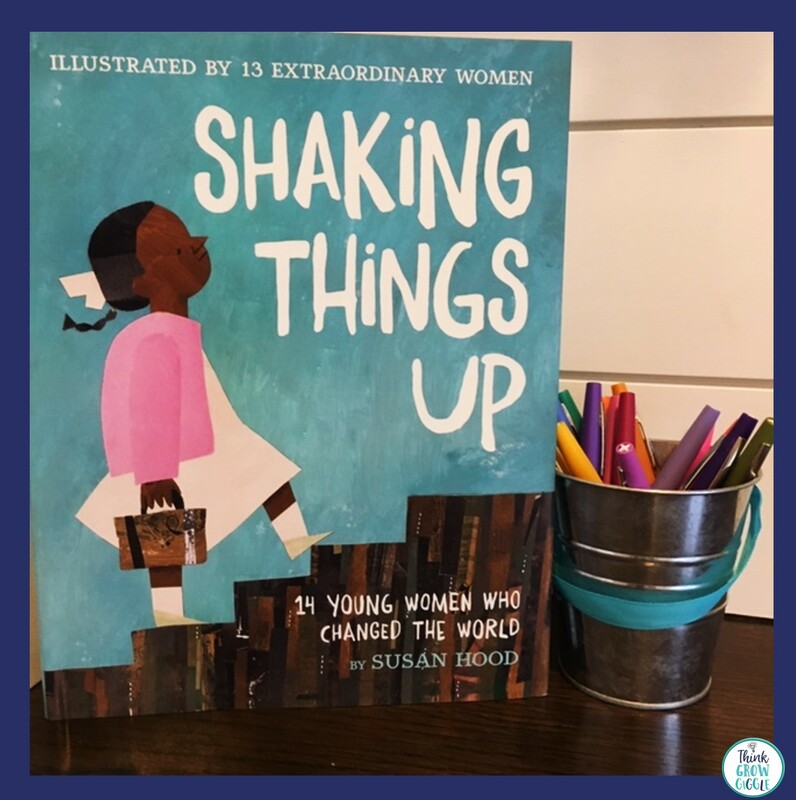 Grab a free coordinating poetry activity to use with this book at the bottom of this post. I love each of the poems in this book! The entire collection of poetry in this beautifully illustrated picture book is all focused around the beauty of our planet. What I especially love about this book is how perfectly it pairs together with Earth Day with National Poetry Month in the month of April. Why not hit two areas of learning with one book and one activity? "Leave the Whales Alone, Please" is my absolute favorite poem in this book! It is a plea to save the peaceful whales from becoming extinct. It pairs nicely with students writing their own poem about an endangered animal. Encourage students can do a little research about an endangered animal of their choice and then write their poems. I love that students are showing what they learned in the form of an informational poem as a companion activity with this book. (See more about Earth Day and endangered animals HERE.) Grab a free coordinating poetry activity to use with this book at the bottom of this post. 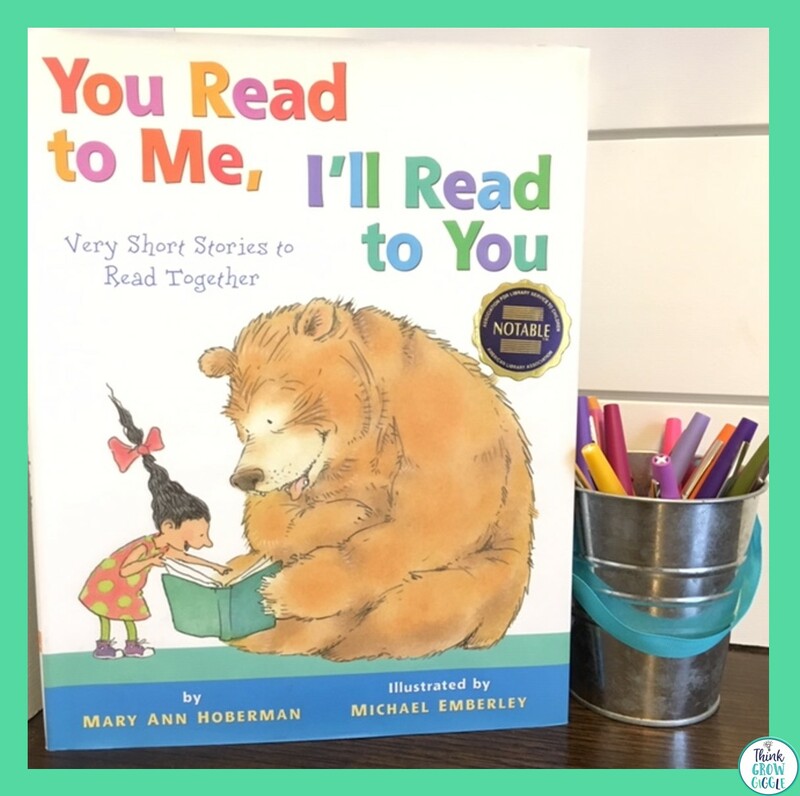 When it comes to reading poetry aloud with your students, you can’t go wrong with any book you share-picture books with rhyming text, stories and novels written in poetic form, or classic poetry from different collections and anthologies. Once you start sharing poetry with your students you will be amazed by the increase in motivation and engagement. Welcome poetry into your classroom not just for National Poetry Month, but all year long, too! 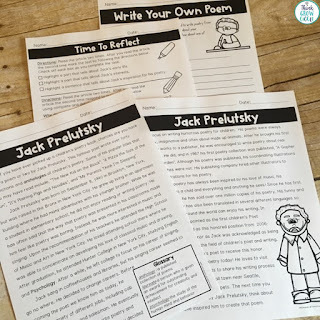 Click HERE to read my easy to implement tips for using acrostic poetry in the classroom. I would love to hear about your favorite poem or poetry book that you share with your students! Share below! 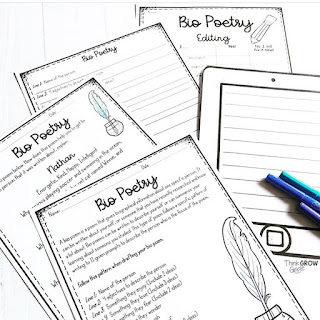 Want to keep the reading and writing poetry lessons going strong in your classroom? Subscribe to get these poetry activities delivered to your inbox! Doug Florian is one of my favorite poets! He has a very wry sense of humor. Definitely worth checking out! We love his poetry books too! Insectlopedia is a good one! Thank you so much for your suggestion! i love shel silverstein. I'm actully reading a light in the attic i've read falling up,where the sidewalk ends and a lot more. I would really like to understand how the exit slips are used. If students are in your class why would you be sorry to see them go?